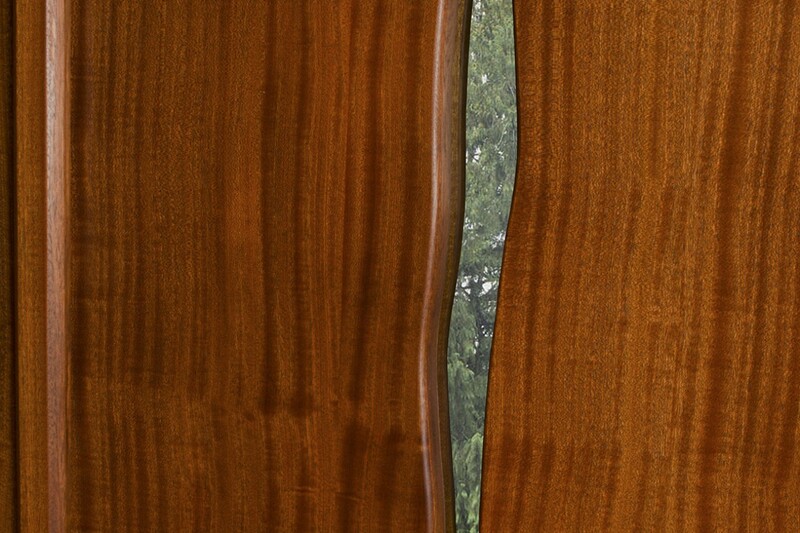 Plate glass carves a river through panels of Sapele in the Cascade Double Doors. 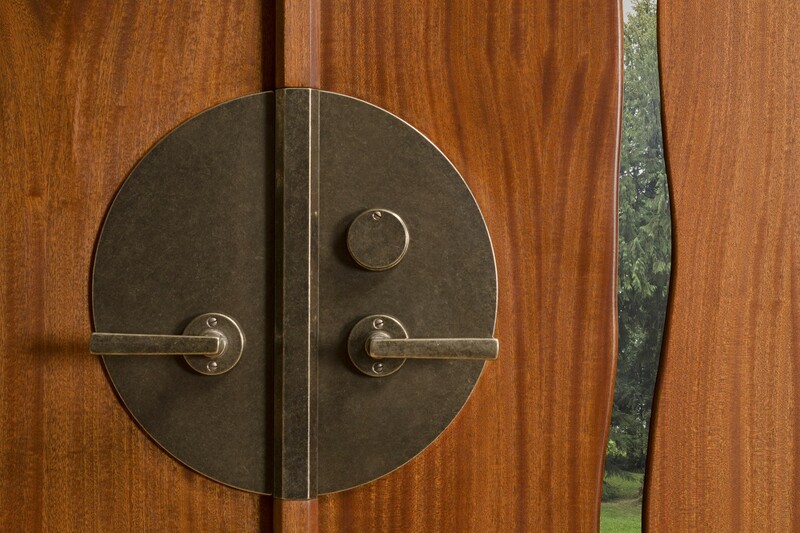 The bronze tansu circle houses a custom mortise lock and levers. 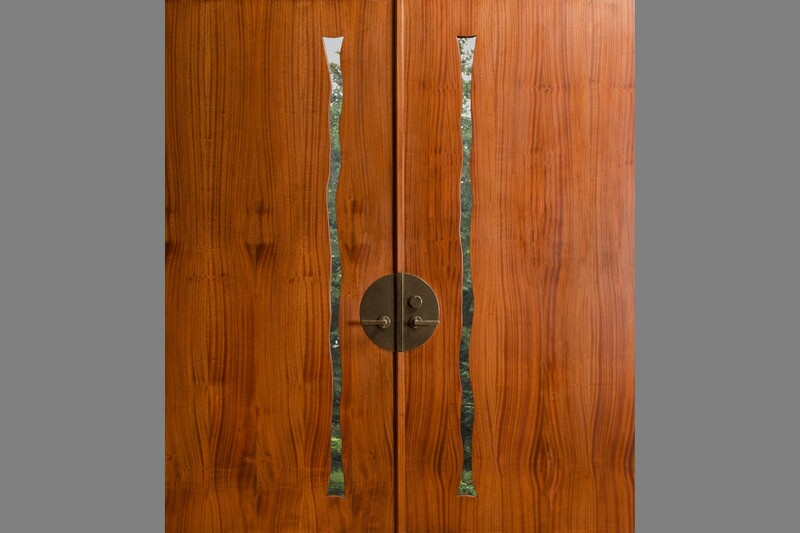 Built on a sturdy core of cross laminated wood, and available in any size, this wood door design will function for entry door or for interior use. 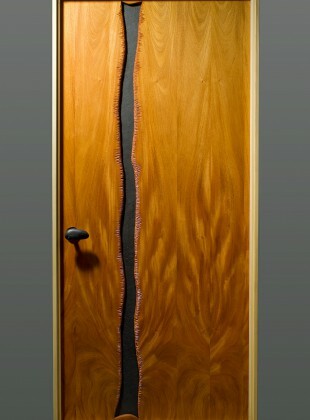 This custom door design is also available using slate instead of glass as the Cascade Door. 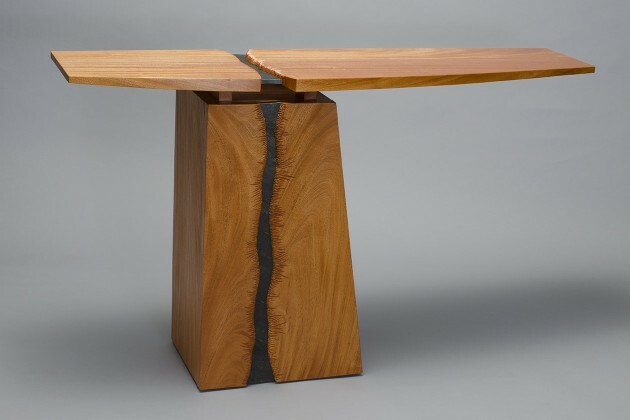 The related Cascade Buffet, Holman Dining Hutch and Cayuga Bed and Cayuga Nightstands feature similar forms.